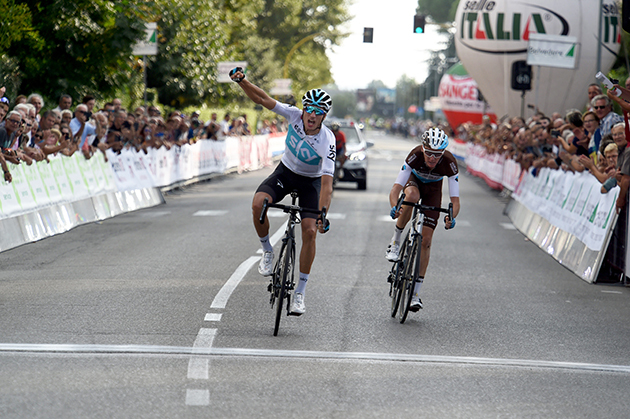 We posted the report from winner Gianni Moscon's Team Sky with the race results. I am very happy with my day because throughout the season, there are not so many one day races for climbers. And this one suits me well and takes place in a region of Italy that I like very much. The sensations are good, which validates all the hard work that I have done in recent weeks. 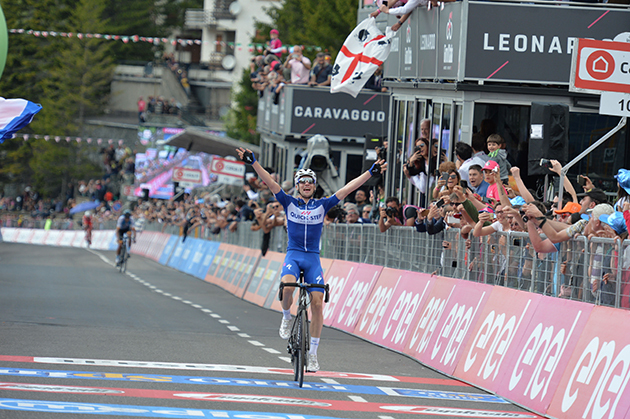 And I was able to have fun; I was an animator of the race with a very strong team around me. The Board of the MPCC met in Roissy on September 13th to analyze the events that occured prior to Le Tour de France. The main focus was on Chris Froome's abnormal control, a procedure that came to an end only a few days before the start of the race. The Movement highlight the urgent nature of its previous suggestions to WADA regarding the principle of the rider's automatic non-active status in case of an ongoing procedure concerning a positive or abnormal control to a specified substance or a non-specified substance, until the rider is formally cleared or being formally sanctioned and suspended for the violation of the anti-doping regulations. It has been 12 years now that the Movement has been commited to these rules on a voluntary basis, with the same purpose as before : promoting transparency, and thus the image and health of the riders, but also the image of the teams and, as a whole, the image of cycling. The MPCC reminds all the teams involved in such cases and who are not part of the movement that nothing prevents them from making the choice of not to line a rider up on a race, no matter what the antidoping rules currently are. The MPCC also hopes that the Union Cycliste Internationale (UCI) will endorse in 2019 its project regarding new regulations for corticoids and tramadol. The Movement renews its request on this topic and wish to see these substance on the prohibited list. The vigilance of the Movement and its members remains the same regarding the fight against mechanical doping. The success of this fight is essential for the credibility of our sport. The MPCC commits itself to a process that aims at making cycling the most credible it can be on a global scale, meaning that it goes even further than the sole fight against doping, which was the core of the Movement when it was created in 2007. The draft reforms of the Professional Cycling Council (PCC), planned for 2020, needs to be focused on the ethics and the credibility of cycling. The Movement has high hopes in the coming month and acknowledge the difficulty of the decision that needs to be taken, and will support any measures promoting credibility. Finally, the Board is glad to see that, as of today, 261 riders have commited to the MPCC. Soon enough, the staff of all the teams (managers, directors, coaches, medical staff, etc) will be able to be part of the MPCC and embrace its philosophy. Here's the MPCC's web site. The move from Schachmann is another remarkable step for Ralph Denk and his team. With Ackermann, Buchmann and Schachmann, three of the biggest German talents are now united under the umbrella of the German WorldTeam BORA – hansgrohe.